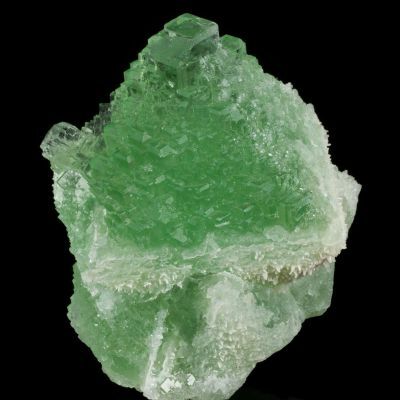 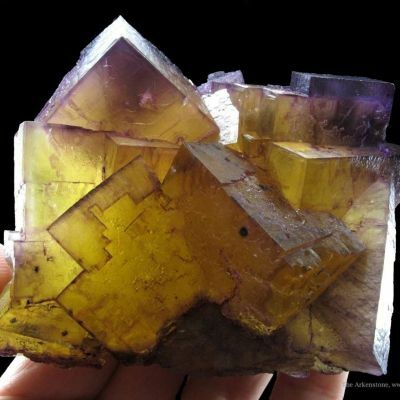 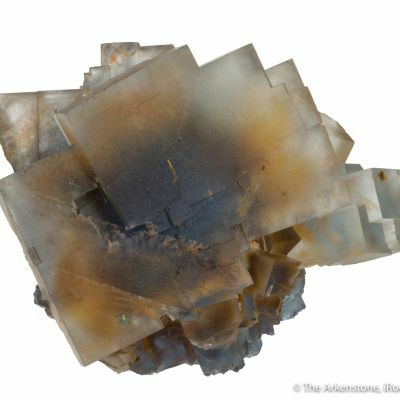 Very reminiscent of the famous, yellow Hilton mine fluorites, this matrix fluorite specimen with crystals to 3.4 cm across features glassy and gemmy, golden yellow fluorite. 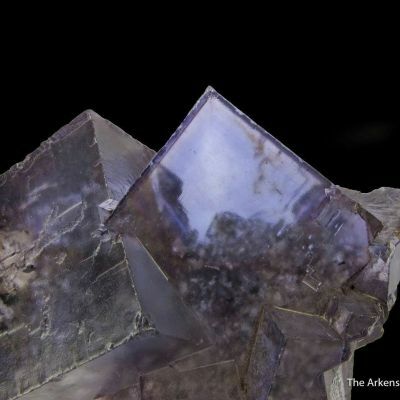 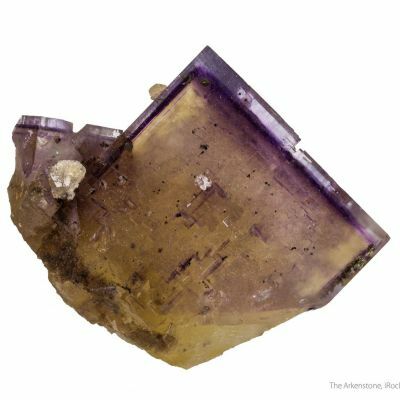 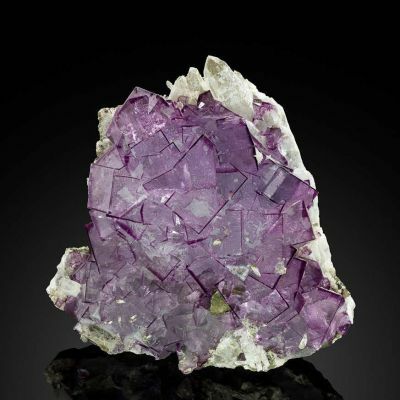 The crystals fluoresce a rich purple color. 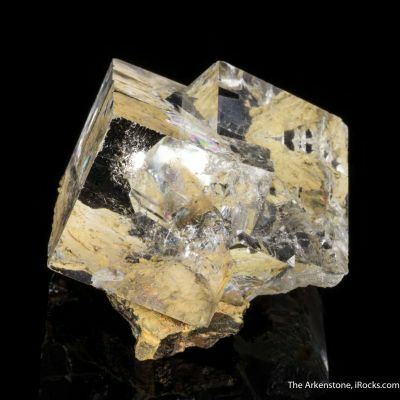 It is a spectacular, complete-all-around, 360-degree specimen from old finds of the late 1970s, at this classic French locale. 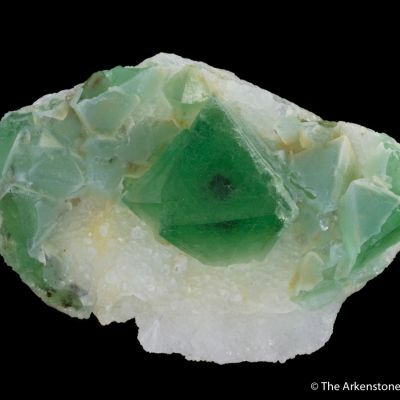 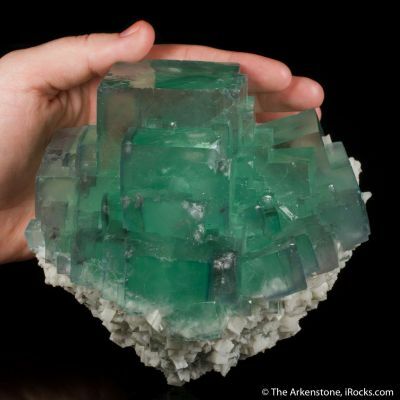 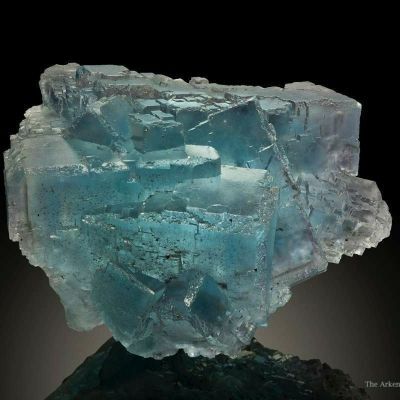 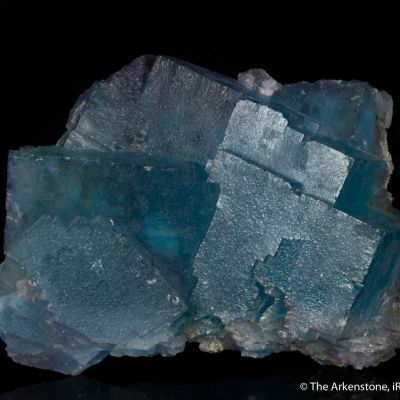 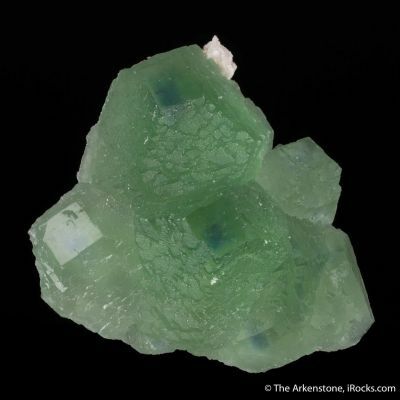 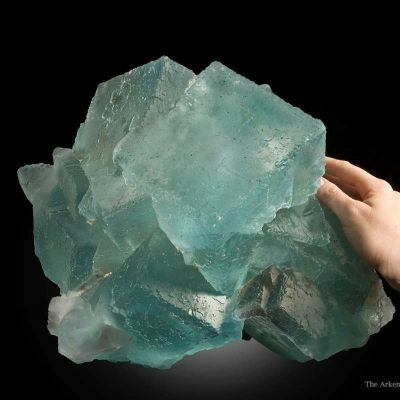 We have seen, on and off, the BLUE fluorite from this locale. 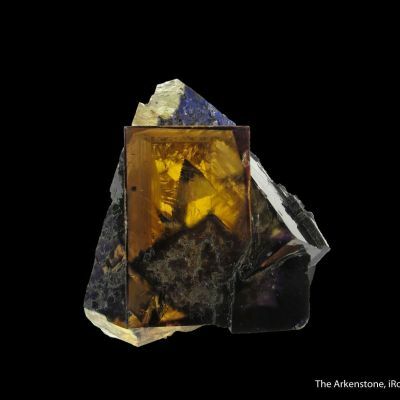 I was shocked, however, to see such a vibrant and fine YELLOW from here at a show many years ago - and now we have sold it and gotten it back a decade later...I assumed it was from Aveyron, but am assured it is, in fact, from a miner's collection out of Le Burq. 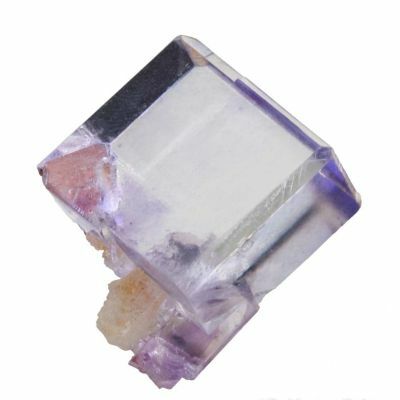 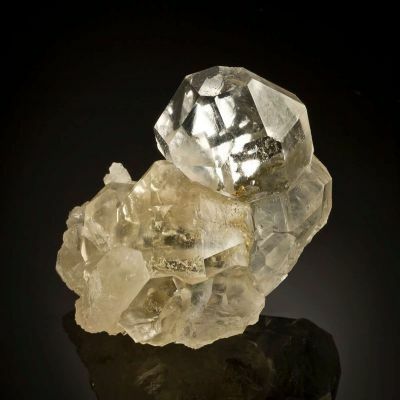 The central crystal is 3.2 cm on longest edge, and the luster is phenomenal. 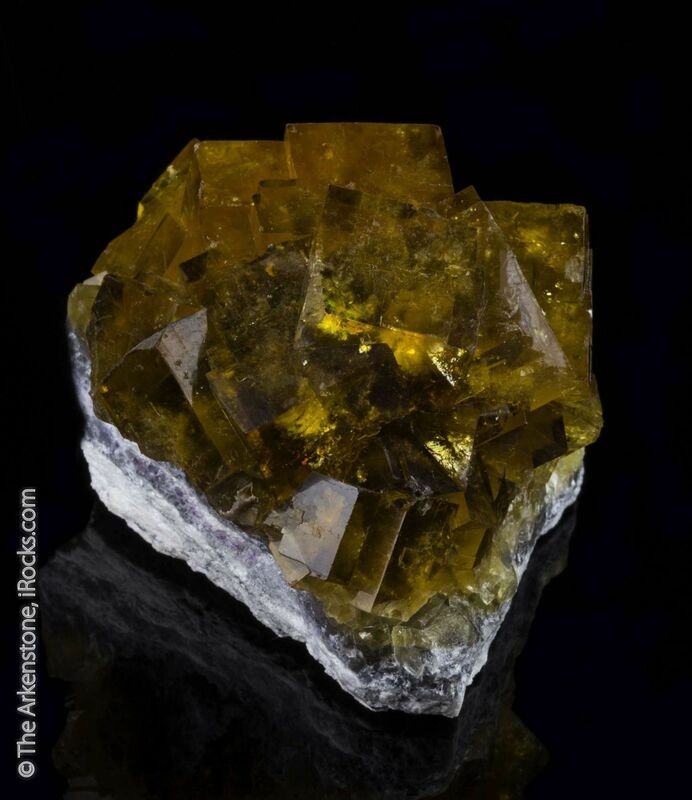 The color is a rich amber-yellow hue, that is very vibrant especially when backlit a bit. 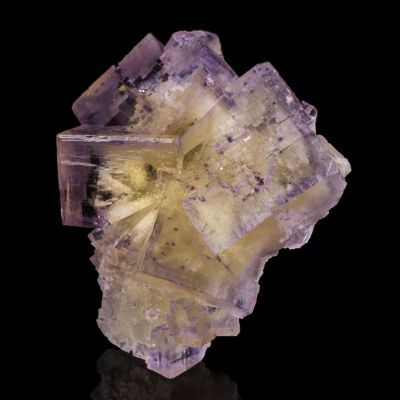 There is minor damage to the back, and few trivial dings elsewhere on some secondary crystals at the periphery, but it is really in quite good shape overall and displays phenomenally well. 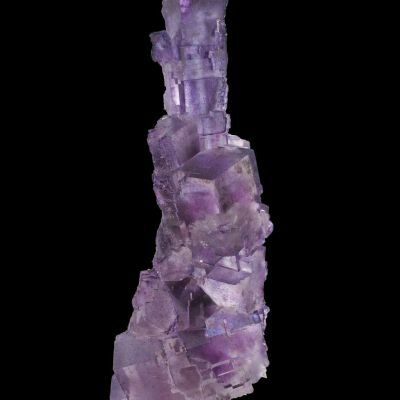 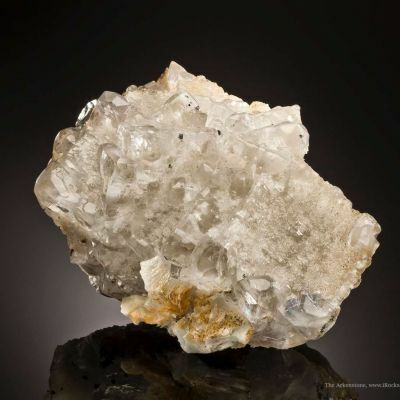 It is 3-dimensional, about as wide and deep as tall, with crystals jutting out all around from their perch on a sloping rock matrix. 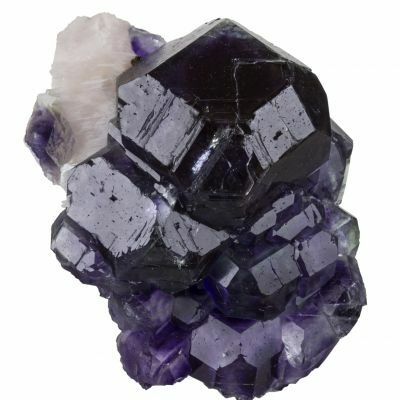 This mine is now closed, I understand, even to collecting.